You may have missed it with the end-of-year hub-bub, but Google has announced the demise of Google+, the social media "start up" that never flourished. Now, I know it's easy to make fun of Google+ because they have never really been successful when measured against Facebook, LinkedIn, Instagram, etc. But let me be honest here: When I fail, no one notices. And I fail a lot. More precisely, I try lots of new things. When I close down the projects that aren't working, they generally fall into one of two categories. The real failures - the ones absolutely no one cared about - I simply stop doing. I don't make an announcement. No fanfare. I just put my energy somewhere else. For projects that had some level of success, I redirect to my "failure page." It's here: Know When to Quit. As you can guess from the page title, it's an essay entitled Know When to Quit. As a Google (Alphabet) stock holder, I am happy to see Google try new things. And as a blogger, vlogger, podcaster, and general media whore, I have taken great advantage of many Google products and services to promote my business and my personal philosophies about life. As a business enthusiast, I'm always eager to figure out what went wrong and learn some lessons. Here's my take on what we can learn from the Google+ shutdown. 1. Never follow someone else's business model. We've seen this over and over. If you follow someone else, the best you can ever hope for is to be number two in the market. Google woke up one day and realized they didn't have a Facebook-like social media platform. So they decided to create one, assuming that their massive popularity (Google search) would catapult their success. People started making fun of them from the start. This is particularly odd when you realize how many social media platforms Google already owns - and the markets they dominate. For example, Google owns Blogger, Zagat, and YouTube. Plus, they own a plethora of other-branded search engines. See this list. Microsoft loves to copy Apple (stores, tablets, phones), and they always come in second. Or they end up dropping out. Lesson: The road to success is more often paved by doing something that very few (or no one) is already doing. 2. Don't building your business on rented land. Many, many companies today are relying on Facebook and, to a lesser degree, LinkedIn as the platform for their marketing. You've seen it. A group pops up on Facebook and suddenly has 4,000 or 40,000 members. After all, with a base of more than a billion members, you only need a small percentage to reach those numbers. But beware. Big companies don't make money giving you stuff for free. They make money getting you to engage with dollars, whether directly or indirectly. And any business you don't control can disappear overnight. Many companies have been "bit" by simple rules changes at Facebook, Twitter, and other social media. When you're in the middle of a frenzy, it's hard to see that it will end. But there are thousands of examples. Yahoo was once the largest search engine. MySpace once dominated social media. What comes after Facebook? What comes after LinkedIn? You don't honestly think that kids born in 2019 will be using these platforms as much as their parents, do you? Instagram and SnapChat are the top social media sites for teenagers today. Both are owned by Facebook. Lesson: Use others' platforms, but don't bet your business on them. 3. Control where you spread your data. Social media companies have had a wild ride over the last fifteen years of so. For at least ten of those years, people freely put the most private information (and company data) online. We were told that "Privacy is a thing of the past." Then the consequences of that free-for-all became clearer. Now we're in an era of trying to stuff the genie back in the bottle. The demise of Google+ is a great example of trying to clean up your data. 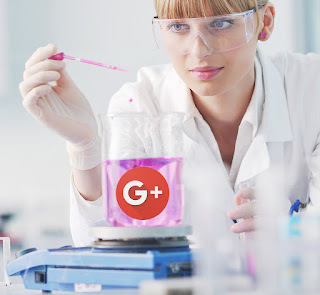 Do you have a Google+ Community? Has your company shared information with others in a place that you think is safe and secure? Do you have a record of what's up there? Do you care if it's deleted on the site (and the site is deleted)? Going forward, you need to make sure you control your company information more tightly. You have no control over what ultimately happens to it once it's on a site you don't control. And while this is a very visible example of a site disappearing, it's certainly not the only example, or the last. Lesson: Create a policy for your company, and do what you can to control the use of company data. 4. Google is a strong and powerful company: Look for them to do something else that's really cool. Looping back to my introduction, I fully expect that Google management is relieved to have Google+ behind it. And now they can use those resources to take on some other adventure. When you look at the broad holdings of Alphabet, you realize that they do not have blinders on when it comes to the future. They dabble in artificial intelligence, big data, driverless vehicles, and all kinds of new technologies. I believe we can look forward to some very interesting new initiatives from Alphabet and Google going forward. At this stage, they have to spend a certain percentage of their energy protecting their dominance in search. But they are clearly dedicated to trying new things. And as they embrace new technologies, the "new things" have the potential to be truly spectacular. Lesson: Try lots of new things, but know when to quit. Google+ will be shutting down for consumers April 2019. You can download your photos and other content if you wish. On April 2nd, your Google+ account and any Google+ pages you created will be shut down and content will be deleted. Note that photos and videos backed up in Google Photos will not be deleted. The process of deleting content will take months. So your stuff might disappear on April 2nd, but could disappear any time. "As early as February 4th" you will no longer be able to create new Google+ profiles, pages, communities or events. If you use the Google+ Sign-in button for non-Google sites, those buttons will stop working soon. Google owns a LOT of properties, so you'll be able to user their non-plus Google Sign-in buttons instead. If you are in the habit of logging on with Google+ and then making comments on other sites, such as Blogger, those comments will disappear by March 7th. G Suite accounts should remain active. But look for changes to the look and feel. Developers who use Google+ APIs or Google+ Sign-in will need to do some re-programming. See the FAQ and announcement pages above.